Lake Elsinore police officers responded to a reported stabbing incident at approximately 5:30 p.m. on Oct. 16 at the 18900 block of Grand Avenue of Lakeland Village, a Sheriff’s official reported. 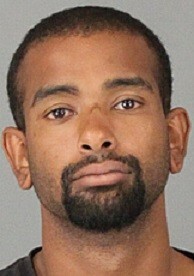 Jiles Michael Kamal, 29, was identified as the suspect of the stabbing, according to a Riverside County Sheriff’s report. Police officers arrived at a local men’s recovery home and, upon their preliminary investigation, were able to find that two of the residents were engaged in religious activities when for an unknown reason one resident stabbed another resident. Another resident came to the victims aid and was able to detain Kamal. The victim was transported to a local hospital where he is expected to recover from his injuries, Sheriff’s Sgt. David Cardoza said. Kamal was arrested for attempted homicide, in addition to a felony warrant for a narcotic-related offense and was transported to Southwest Detention Center, according to Cardoza. Anyone having further knowledge or information pertaining to this case is encouraged to contact Deputy Liebrand, or Deputy Woods at the Riverside County Sheriff’s Department at 951-245-3300, or after hours at 951-776-1099.